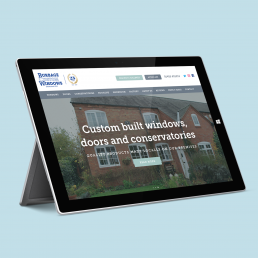 Burbage Custom Windows are a local manufacturer and fitter of PVCu windows and doors and pride themselves in their high quality workmanship. 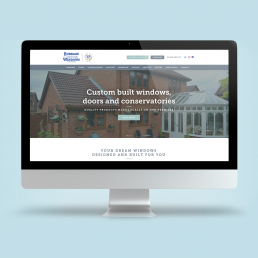 They needed an updated website that really helped to reflect the quality of their products in it’s design and features. 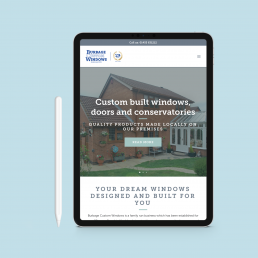 We started by updating their colour scheme and slightly refreshing their logo (though keeping it very familiar as they had over 25 years of brand recognition) to bring both up to a more modern standard, then looked into the website design and technology that could be used to really make their site pop. We utilised their great imagery in hero images and galleries and created some virtual brochures to help display their work online. 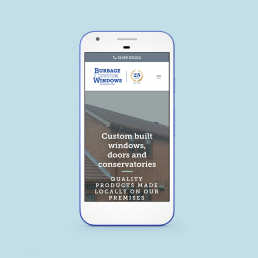 The final result is a well structured and modern website that really shows off the quality of the work that they do, tied in with some great SEO in preparation for future marketing.